I (Jeffrey Blattman) am a professional software developer living in silicon valley. My main area of experience is in Android, Java, Java EE, and other web technologies. I am presently working at Clover developing next generation point of sale systems. My name is Rafael Sanches and I have played with some of your android apps. I see that, like me, you are very interested in the android stuff. Would you like to make something together? We could brainstorm someday to find something useful to develop. I have servers and I think that we can build any idea. I have developed the app “craigsnotifica” on my free time and lately what happens is that I develop my apps to the half and then i loose interest. I hope to get some productivity boost by collaborating with someone. Great app. I would like to contact you about it and work on making the data more easily available. I assume you did a data scrub of the VTA website to get the route schedules. I want to work at making it easier for developers to get the data they need. I really like Quake Alert, but could you add epicenter depth to the app? yes that would be easy. i’ll keep it in mind for the next time i get into the code. Some comments: Google Maps works fine with GPS only. QA used to work fine before the last revision. I’m running Android 1.6 stock on a T-Mo myTouch 3g original. Ps. Thanks for making the type bigger in the listings. That really helps me. yes. i changed the permissions to only request “coarse” location, and not “fine” location. this was probably the wrong thing to do. i’ll fix it up and get back to you. A display of the 2 bar graph on a live home screen widget linking to the full clock would be nice. I think a display of 2 graphs per widget height would be really great. I had a few problems: It hung on first use, and a few errors popped-up while searching for clocks. I believe the hanging could be the result of two factors: Default setting on “closest” and my GPS radios where turned off at the time. Perhaps a time-out issue on GPS data ? As for the search errors, the messages just flashed so fast, I can’t say what it was. When using the shortcut widget, pinch zoom no longer works on my browser. I use Mozilla. After clearing cache, no change. Since Clear Sky Droid’s widget have been the only change, I tried removed them, and pinch-zoom was available again. I’ve been enjoying your Next VTA app for awhile and today i was going to recommend it to a friend but I can’t locate it in the Android Market. So what’s up with this? Why not open source Next VTA if you don’t want to work on it anymore? Many people depend on the VTA and your app is a public service, so let others maintain it if you can’t. I want to bring back your next vta apk. would you send me an email, so i can contact you? 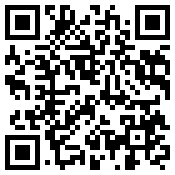 email is encoded in the QR code on this page. I have used one of bitmap scaling class in my android app. I just want to know that, do I have to obtain some license to use your class, although I have amended it in very different ways but still I was concerned about license. Reply soon…! no worries. any code i post here is public domain. I am a recruiter for Zenprise, a mobile security software company. Please call or email me.